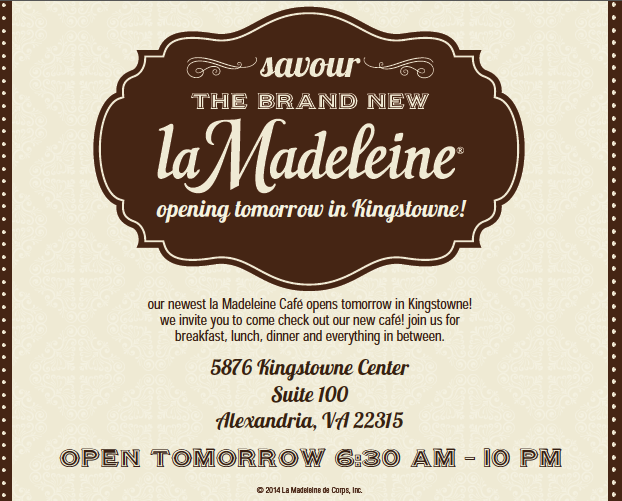 We just got word that La Madeleine will be opening tomorrow in Kingstowne! They will be open for breakfast, lunch, dinner and snacks throughout the day. We will definitely check it out and report back!